The Barbara Smith Writer-in-Residence Program Submission period Opens April 5, 2019! The Barbara Smith Writer-in-Residence Program is made possible thanks to the generosity of The George Gund Foundation. The submissions period for the Barbara Smith Writer-in-Residence program for poets and writers of color is now open. Click here to apply. The Barbara Smith Writer-in-Residence program provides a safe creative space for established poets and writers of prominence and emerging writers of promise to bring a current project to completion. Twelve Literary Arts offers FOUR residency opportunities from 2019-2020 to poets, fiction writers, journalists, essayists, and playwrights of color. Two residents will be selected from Northeast Ohio and two will be selected from outside Northeast Ohio. Residents not from the United States are also encouraged to apply. The residency period for poets and writers not from NE Ohio is 3 months. The residency period for poets and writers visiting NE Ohio is 1 - 3 months. An apartment for poets and writers visiting NE Ohio. (Office space and apartment are both located in Cleveland's historic Glenville neighborhood). This writer-in-residence opportunity is for individuals who will have graduated from undergraduate or graduate school by the time the residency period begins. Residents from abroad will need to pay for travel. The principal responsibility of each resident is to spend time bringing a creative work to completion. In addition, the residents will be expected to be available for local media requests and will participate in a sharing of the creative work in progress with the public. Poets and writers are selected based on artistic excellence, availability and fit within the program. Prospective writers must be nominated by editors, agents, or other professionals familiar with the applicant’s work. Applications are reviewed by a panel chosen by the executive artistic director of Twelve Literary Arts and members of the Twelve Literary Arts board of directors. 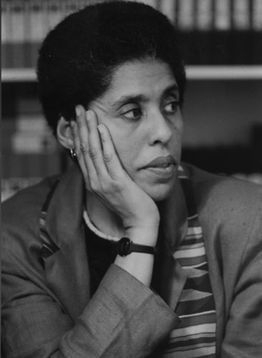 Barbara Smith is a writer, educator, social activist and Cleveland native. She is co-founder of the historic feminist group Combahee River Collective, co-founder of Kitchen Table: Women of Color Press—a press dedicated to publishing work by women writers of color, and one of the first academicians to teach a course on Black women writers. Her work uplifting the voices and fighting for the rights of Black women, women of color, and the LGBTQ community has spanned almost half a century. To learn more about Barbara Smith, visit her website. Twelve Literary Arts brings performance poetry to public spaces, while supporting poets and writers of all ages with youth programming, adult professional development, and brave spaces to dream, write, and teach into reality a world of social justice and equity.